and you don’t want to waste it! and you decide that you will use it to get stuff done? We are on getting stuff done and not spinning our wheels. We have to put the large rocks in the jar first, gotta do what is most important to you first. Filling things up with sand. Little things that won’t make you happy when all is said and done, there will be no room for anything else in your jar. * Make a list of five things that you want to get done. * After you do that, go to the next video. * If you have laundry on your list, put it in the washer before you start the 30 minutes. * Put stuff that belongs in another room in the house on a chair or on the corner of a couch, just make a pile somewhere. * After all of that – put away the items that go into another room in the house, the things you piled up. * If you have a child who can help you, ask them to put those things in the rooms they belong in while you are working on other things in that room. * When the 30 minutes are up, go tot he next video. If you didn’t finish the room you were in during that 30 minutes, you don’t have to go back into that room if you don’t want to. You probably don’t want to, and you don’t have to. You can go into a different room that you have on your list. The next thing after that, go back to the other room if you hadn’t finished it. Set a timer to remind yourself about the laundry that is going! Right now you may not want a break, and that is ok if that is the case. Work again on any thing at all of your choice that is on your list. But! Only for 30 minutes, and then watch the next video. for guidelines to taking a break. Take a break to have some fun. *Go on the computer or watch some tv. If you have an entire weekend to get stuff done, take 30 minutes. IF you have just a few hours take a 15 minute break. GSD – COMPANY IS COMING! * Have a snack if you hadn’t yet, and be sure to drink water. * Set a 15 minute timer for the snack. * If you had a snack before, don’t use this as an excuse to have one now. * If you hadn’t eaten and it is lunch time, then set the timer for 30 minutes. [soundcloud id=’76748505′] At this point you may have a mess in one room. in another room and make it neet. Than… after you have done that, get your night time routine going on. Don’t be upset if you made a mess, getting things done. You are now making it orderly. Tomorrow is another day, and you have the system in place, we will get to it. This is the last video for “I got a big block of time and I don’t want to waste it.” AKA – Getting Stuff Done! If you have been following it, then there has been no wheel spinning. You also got the little breaks you needed in between, so even if you didn’t take any computer breaks, you got the breaks to watch the videos. We love company and we hate to work alone. 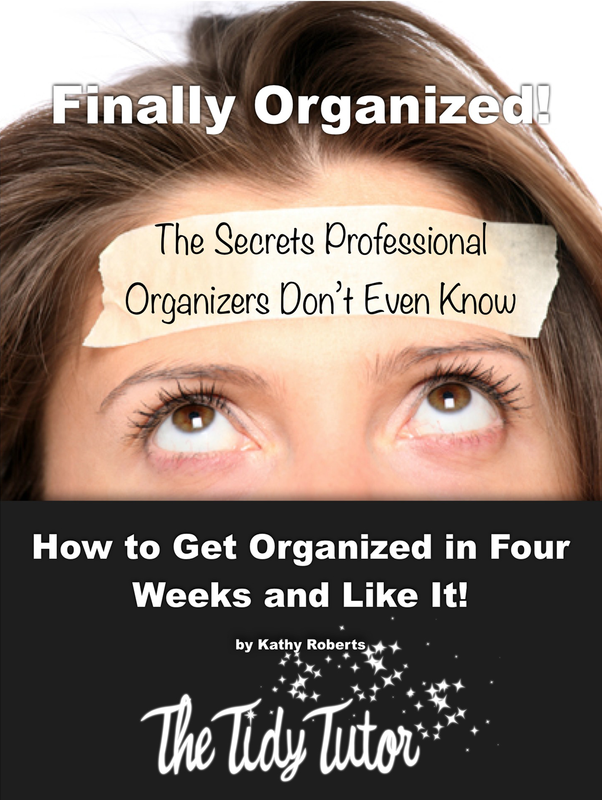 I would call my Born Organized friend Lisa and she would give me some coaching. She would say, OK, what is the most important thing? I say, do what makes you the most happy. Do that first. As time goes by, and you are saying “I don’t want to do this any more!” But you still have stuff to do… Try the C.O.C (Clean On Commercials) You watch tv, and when a commercial comes on you run around and play beat the clock and do as much as you can until the commercial is over. or the C.I.C. (Clean In-between Chapters) When you are reading you clean after you are done with a chapter. The number of pages in the chapter are the minutes that you clean. You can find the video in Motivation Monday’s archive. * Remember to stay localized to one room when your timer is set to get moving. * Don’t put anything away in other rooms until you are done in that room with everything else. * Have laundry and the dishwasher going while you are working on other things. If you haven’t taken Tidy Tutor University, you can do that here! Classes start Aril 28. You get the course immediately upon enrollment.